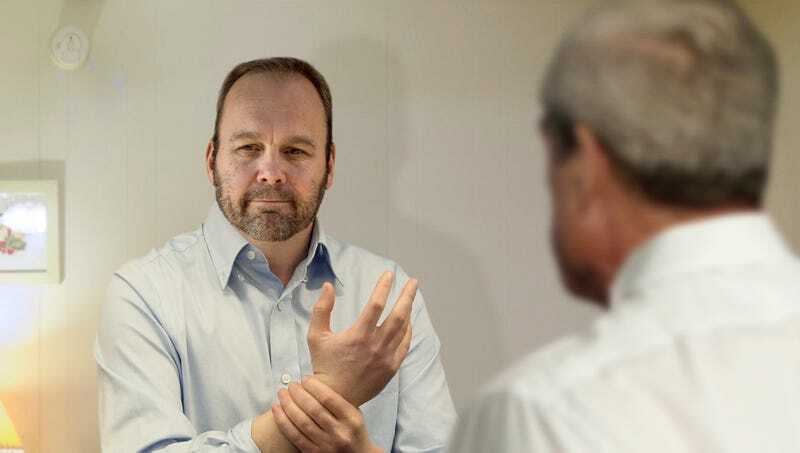 WASHINGTON—Advising the former political consultant not to take advantage of his goodwill, Special Counsel Robert Mueller reportedly told Rick Gates Thursday “don’t make me regret this” before uncuffing him to work on the Trump investigation together. “You’ve helped me out so far, and I appreciate that, but I’ve got my eye on you, Gates, so don’t try anything stupid,” said Mueller, placing his gun on the table as the man who pleaded guilty to conspiracy against the United States and had since been aiding in the Russia investigation massaged his sore wrists, then opening the door to the motel room where Gates had been under lock and key for months. “You track down my leads and get me what I want, and we’ll keep this cordial. I don’t trust you as far as I can throw you, Gates, but we’re in this mess together, and dammit if you’re not the only one who can get us out. But if you cross me, if you step even a toe out of line, you’re finished. Remember that.” Mueller added that Gates better not even think of trying anything like the stunt Paul Manafort pulled and make a break for it right after the handcuffs were off, because it was only going to make things much, much worse for him in the long run.